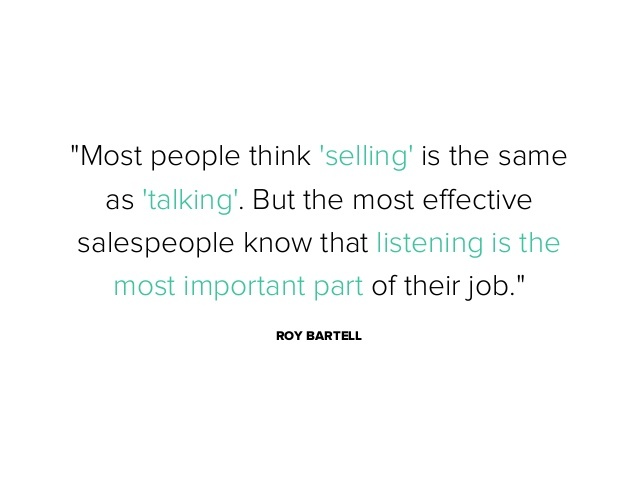 Sales talk is not about a sales person, nor of his product/service. It is about using the right words that help brings the prospect closer towards conversion. The following is a list of five phrases that should never leave the mouth of any self-respecting sales person. It is good manners to introduce yourself and what you do to a potential client. But say 'sales' to any stranger and the natural instinct is to get defensive. It is however very off-putting to a customer when you introduce yourself as a sales person. Whenever you say this, the prospects assume that you are there to coerce/ to buy useless products that they don’t need. When approaching a client, introduce yourself as a person, name and where you work, who is there for the mutual benefit of both of you (solving his particular problem area). Some research on background with the help of CRM Solutions will help. This makes the prospect amicable enough to connect with you. "Hi Jeff, I am Ryan with CRMNEXT Solutions. I want to let you know that I am your point of contact whenever you need a solution to (relevant busines problem)." You are not a prospect's butler or man-friday. You may feel compelled to use this phrase if a prospect missed a scheduled meeting or is not responding to your communication. The key is to not to use a mere 'checking in'; instead add value to your phrase. Here's how. b. Offering a unique product tip.
" Hi Jeff, I was going through the meeting notes with my team and they pointed out that I missed out on something you said that was an important detail. I apologise for the slip up. Do you have sometime before our next meeting to refresh it so that I can understand your situation clearly?." Nothing matters more in sales than reputation. Many sales people want to appear knowledgeable and intelligent about their products or other issues that the prospect want to discuss. But do you want to find out how it feels to be wrong-footed. Avoid saying that you know everything about any subject since there are always little details that you may have missed. It is okay not to know everything. A phrase like "I don’t know that but I will look it up for you" helps you to avoid giving false information and a chance to get back with the client. With the help of centralized knowledge repository offered by your CRM solutions, find out the requisite information and share the information across. The above phrases make it sound as if you are giving your prospects an ultimatum and make you appear as a pushy salesperson. This is no way to close. Instead, these words will make the prospect unceremoniously dump you out of sales negotiation. Instead, you can use phrases such as "Could you" or "This product/service may be good for you". This shows that you respect a client’s boundaries and you are not trying to be bossy with them. You are the one selling the product or service to a prospect. Thus, talk as though you totally own it. This ensures that the client understands that you are proud of it. When you say that product, you appear as if you are trying to distance yourself from the product, thus turning off prospects. Saying "This Product/Service" or "My product/service" shows the clients that you are proud of what you are trying to sell to them and thus they are more willing to open up to the idea of purchasing it. 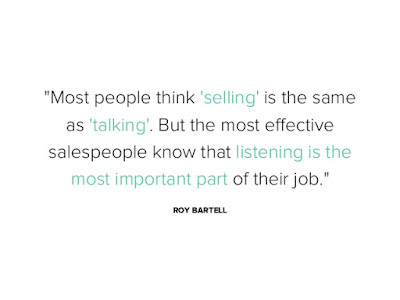 Great salespersons are made of convincing words and they should use those words wisely. By using sensible phrases, a salesperson is able to create rapport with the client and thus bring himself closer to a sale.